The New York City Department of Education has awarded Tech4learning the contract to deliver high-quality professional development to private schools in the Diocese of Brooklyn, which services over 30,000 students in the Brooklyn and Queens areas of New York City. 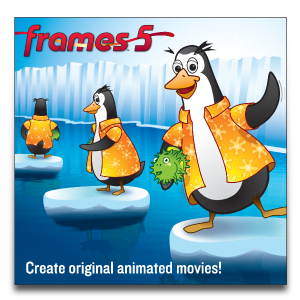 Tech4Learning’s Frames 5 animation software wins the ComputED Gazette’s EDDIE Award for Best Educational Software in the category of Multimedia Creation for Upper Elementary. The EDDIE Awards target "innovative and content-rich programs and websites that augment the classroom curriculum." Tech4Learning has been awarded a five-year contract by the Department of Defense Education Activities to continue to provide enterprise-wide software solutions to students in the DoDEA system. Students will have access to all Tech4Learning products on any computer in the system, including market leaders Pixie, Share, and Frames. DoDEA students will also take advantage of cloud-based services Wixie, K12Share, and Recipes4Success to build essential 21st century communication skills.